We stock everything you could possibly need to complete a building or roofing project. 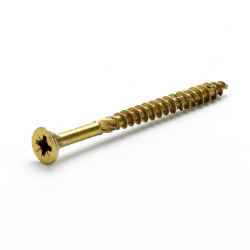 That includes our extensive range of roofing screws, which are designed specifically for the industry. With everything from wood screws and drywall screws to multi-purpose screws, you’re sure to find something from the range that suits the requirements of your build. Did you know that we also stock a comprehensive collection of nails, screws and fixings? Within this range, you can find everything you to complete your project, regardless of whether you’re a self builder or a professional roofer working in the industry. Buy screws online today from Ashbrook Roofing. We offer trade prices on all of our items, although bulk pricing is also available if you need to order in large quantities.